Rewilding Europe finalised today a new two-year partnership with Swiss-based Fondation Segré. The ambition is to prepare and implement urgent measures for the conservation of the Marsican brown bear in Central Apennines. This serves as the first concrete initiative of the recently founded Rewilding Apennines entity that will be active in the Central Apennines, the latest new rewilding area in the portfolio of Rewilding Europe. With passion for wildlife, the founder of Fondation Segré – Dr Claudio Segré – supports environmental and species-oriented projects around the world in partnerships with organisations like Fauna and Flora International, WWF, IUCN, the Whitley Fund for Nature, and Zoological Society of London. This is its first collaboration with Rewilding Europe. 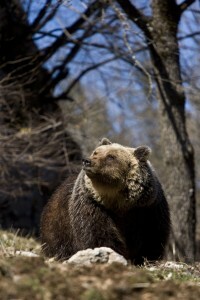 Isolated from the Alpine population for about 500 years, the brown bear in Central Apennines is often referred to as the Marsican or Abruzzo bear. Due to low numbers and high human-related mortality, the conservation of the bears is a priority, and several efforts have been made during the last decades to turn the negative trend into a positive – however with limited success. Still, the bears suffer from poisoning, poaching, road accidents and the transfer of livestock diseases. One underlying cause is the potential conflict with and lack of support from the affected local communities. The new bear project focuses on improving the situation for the bears in three communities strategically located at the northern border of the Abruzzo National Park, which still hosts many of the about 50 remaining bears. The first activity will be a long-term lease of a critical area to eliminate existing problems with poisoning, poaching and livestock disease transfer. At the same time, this area is one of the best spots in the whole region to see bears, wolves, red deer, roe deer and wild boars. Rewilding Europe will help developing wildlife watching tourism, including setting up a temporary feeding station for attracting the expanding griffon vulture population. In the same area, a local organisation – Salviamo l’Orso – will be supported to reduce the risk for wildlife road collisions by establishing special speed reduction devices and warning signboards. An agreement has also been reached with one of the communities to limit the road access to an important bear area. Sunset view of mountain ridges in the Abruzzo National Park showing the characteristic landscape of the Central Apennines. A critical factor will be the successful engagement of the hunting community. Local hunters groups have already stated their availability and interest to be involved in patrolling, to discuss different options for no-hunting or special respect zones, and to guide visitors and wildlife watchers. The more restrictive access to the areas would also lead less competition with hunters from outside the municipalities. Special anti-poisoning dog patrols from the Gran Sasso e Monti della Laga National Park and the State Forestry Corp will be engaged. Activities to improve the social control of poisoning and poaching will be put in place with the cooperation of the local communities. A group of locally recruited “bear advocates” will ensure information flow between the local communities and the project, train landowners in the management of electric fences for the protection crops and properties, search for illegal snares, support the anti-poisoning patrols, collect reports of sightings and signs of bear presence, and manage camera traps. The development of the wildlife watching tourism will be given technical support by the Rewilding Europe Enterprise Team, and support for local investments will be provided with help of loans from the Rewilding Europe Capital Fund and by facilitating access to specific rural development funds and the financial market. Communication and marketing at local, regional, national and international level serve as essential elements of the project. Rewilding Europe is very excited to start working in the Central Apennines, and with Fondation Segré. Soon, we will provide more information on this website about the Central Apennines rewilding area. 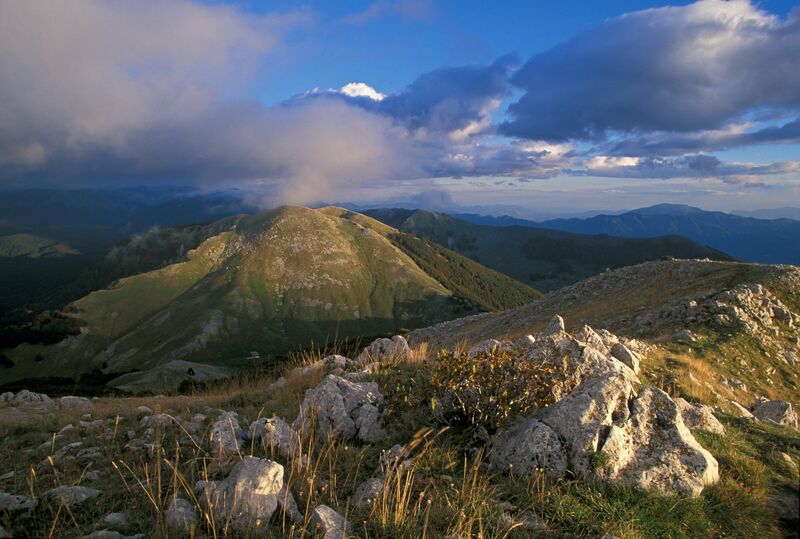 Read about the vision for Central Apennines here.